Our technical support department is receiving more and more requests from the clients who need to recover data from monolithic Flash devices (monoliths). To recover data from a monolith is considered a difficult task that requires special data recovery instruments. No wonder some engineers even prefer to stay aside from such tasks. It's time to keep up with the latest challenges! Grab the opportunity to become one of the few professionals who can tackle even the most complicated monolithic recovery cases! PC-3000 Flash ver. 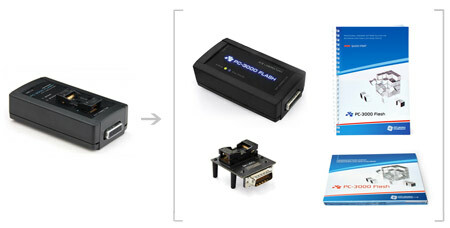 4.0, the newest generation of the PC-3000 Flash Reader, has a built-in Power Control adapter. 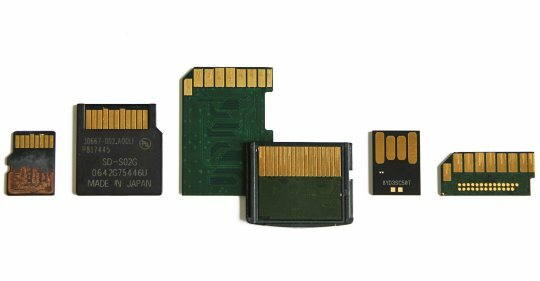 Together with an external Circuit Board adapter, it helps to recover data from monoliths even more efficiently! The integrated Power Control adapter, along with the automatic modes helping to select optimal voltage with feedback on uncorrected reading errors, enable the PC-3000 users to solve even those cases that previously required some extra instruments. The quality of chip reading has increased dramatically due to the automatic adjustment of power voltage. With PC-3000 Flash ver. 4.0, you can recover data from monoliths much easier and more efficiently! All other adapters can be purchased additionally. Please contact your personal sales representative or e-mail us at sales@acelab.ru to learn about the PC-3000 Flash ver. 4.0 purchase or about the upgrade of your old PC-3000 Flash to the newest version 4.0.